"People have reposed their faith in the Election Commission for long, and have trusted its credibility in testing times. Not announcing Gujarat election dates is not a good thing," Mr Yadav said. 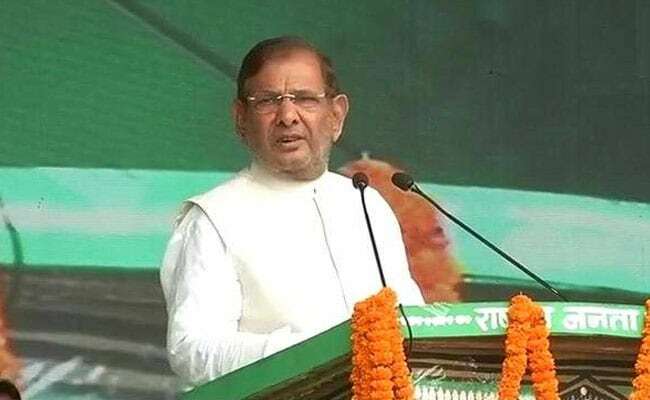 New Delhi: Rebel Janata Dal-United MP Sharad Yadav on Saturday voiced concern over the Election Commission's decision to postpone announcement of the Gujarat poll date, saying it was "not a good thing" and would raise questions on the credibility of the poll panel. Speaking to reporters here, the senior leader also hit out at the BJP for maintaining different standards for itself and opposition leaders over the controversy surrounding BJP President Amit Shah's son, Jay. On the delay by the Election Commission in announcing dates for the Gujarat election, he said: "For the first time such a thing has happened, I don't think it is good." "People have reposed their faith in the Election Commission for long, and have trusted its credibility in testing times. 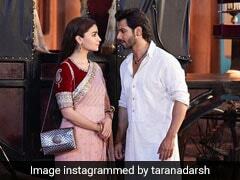 Not announcing Gujarat election dates is not a good thing," he said. Mr Yadav said that "democracy is the driving force of our Constitution. And the Election Commission till date has maintained its credibility." He said that earlier the Election Commission members would even in adverse circumstances maintain the neutrality of the poll panel and "act as an honest referral". On the controversy over the massive spike in the turnover of Jay Shah's company after the NDA came to power in 2014, Mr Yadav said: "Jay Shah is a Shah-zada, and we should speak less about them. People here are fond of Shah-zadas. They (BJP) have different standards and laws for the opposition, which are not implemented on their own party members." He also took a dig at BJP leaders over unsavoury statements on the Taj Mahal. "Taj is one of the seven wonders of the world. I don't know how people are questioning it. Many of the ancient monuments have been built by others in the country. Parliament, Rashtrapati Bhawan and even Lutyen's Zone were built by the British," he said. He also targetted the government for not fulfilling its promises on employment generation, farmers' welfare and the condition of the market. The suspended JD(U) Rajya Sabha MP also announced election to party posts on March 11 and released a list of interim office bearers, including Chhotu Bhai Vasava as working president and Ali Anwar as one of the vice presidents on ad-hoc basis. He also released a list of Presidents of the party unit in states. Asked about his party's hearing in the poll panel, Mr Yadav said, "On October 17, we submitted 429 affidavits in 12 volumes in support of our claim." Mr Yadav has approached the Election Commission to stake claim over the JD(U) election symbol.